Special Feature: A very flattering and fresh nursing dress with a faux jacket. Washing Instructions: Machine wash cold and tumble dry. 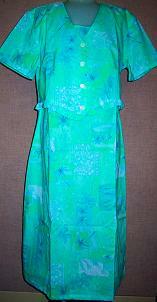 Colors: Blue and green Hawaiian print.